Each float room has a shower area, a place for personal items, and includes everything you will need for a great floating experience including: bath robes, slippers, towels, and earplugs. It is recommended that there is no sound, light, etc. while floating; however, music can be requested and played in the tank. A custom playlist “BY YOU” can be played, or you can enjoy music provided by us. 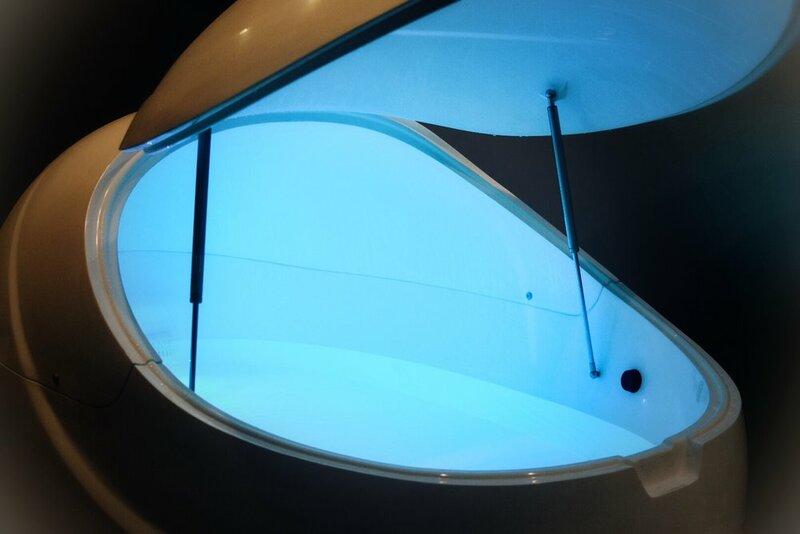 This float pod has a modern and sophisticated design that was built with luxury and comfort in mind. The hydraulic door allows for easy entry and exiting. Also includes speakers and interior light. Our state-of-the-art float rooms. The Wave float rooms are taller and wider than your typical tank. There is plenty of space to stand up for easy entry and exiting. Also includes speakers and interior light that you can turn on or off.